What about glyconutrient supplements? With over a billion dollars in accumulated sales, how could it possibly be a scam? Glyconutrient supplements are a total sham—in fact, they just settled a multimillion dollar suit for false claims. R. L. Schnaar and H. H. Freeze. A "glyconutrient sham". Glycobiology. 2008 Sep;18(9):652-7; discussion 658-63. Epub 2007 Sep 13. What are some other potential marketing scams? See Alkaline Water: a Scam? And check out my other videos on supplements and my other videos on snake oil. For more context, see my associated blog post: Soymilk: shake it up! Please feel free to post any ask-the-doctor type questions here in the comments section and I’d be happy to try to answer them. And check out the other videos on supplements and snake oil. Also, there are 1,449 other subjects covered in the rest of my videos–please feel free to explore them as well! What can you tell us about a product called “Protandim”? Saying its a total sham without providing any evidence, shows how you are part of the problem when it comes to the sickness industry.. This site promotes nutrition and yet dismisses a real food nutritional product that has more scientific validation that most other companies combined.. Yet another “Doctor” who cant see outside the box… the lawsuit was a marketing issue as the drug companies prevent any organization that isnt a drug company from publicly publishing the health benefits of their products for specific diseases. That doesnt mean the products dont work, it just means they’re not allowed to make that info public. I know plenty of people whom have benefited from this technology. take this defamatory drivel down and get educated!! – The cognitive effects of plant polysaccharides (Ambrotose® complex) presented at the Society for Applied Research in Memory and Cognition conference in New York City. You criticize Dr. Greger for not providing any evidence. Did you even bother to read his source? It is a detailed refutation of the “evidence” for glyconutrient supplement efficacy written by real glycoutritionists and published in a refereed journal. 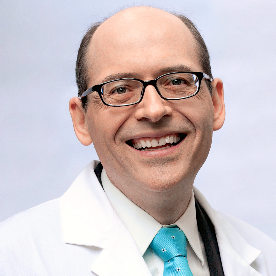 You simply make statements,.many of which could support, IMO, the assertion in Greger’s cited article that Mannatech has consciously attempted to paint their product with an air of scientific legitimacy. Since you do not supply any links, I can’t check up on them. But I wouldn’t bother anyway. Anyone who asserts that the company’s “breakthrough Immune System Technology is…written up in thousands [!} of peer reviewed articles” has clearly been drinking the company cool-aid. I’ll take the word of scientists any day.